Well, you can’t throw them away—all the report cards, school notes, class pictures, award ribbons, etc. Now is a great time to gather up everything from last school year and find a home for it before the next school year starts. And how do you keep up with all that stuff in an organized manner for over twelve years……… There are various methods—file boxes, portfolios, binders, and digital but I prefer the binder method for actual memorabilia. 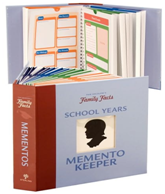 I use something called School Years Memento Keeper that I purchased from Family Facts years ago. My daughter is now 13 and my son is 9 and I have been tracking all their school years in here. 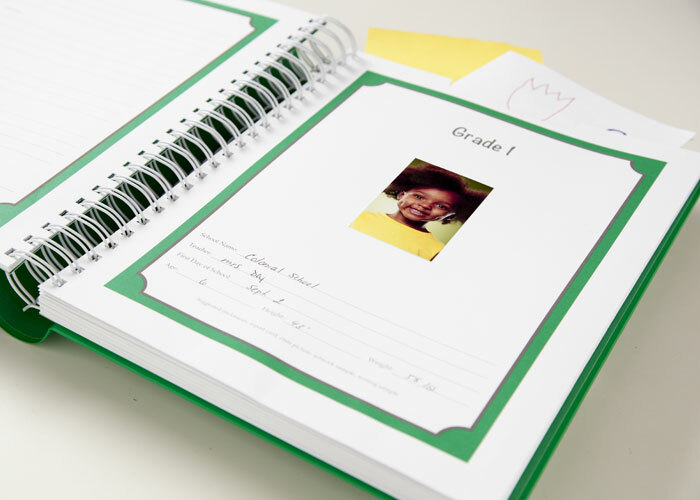 There is a section for each grade (PK through 12th) where you and your child can record important events and other memorable items for the year (their best friend, favorite hobby, etc.). This is such a great tool for memory keeping. 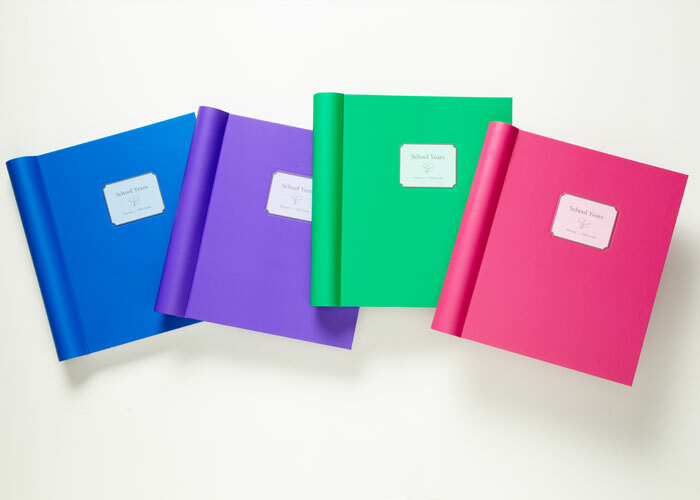 And finally, you can always make your own Binder. 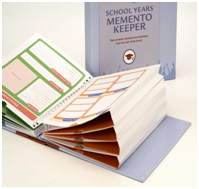 Use one of these products every year and you will have a great keepsake for years to come and best of all……..a great tool to keep you organized! Love this idea! Kids school stuff is so overwhelming. Thanks for the advice! !